Beautifully refinished home with large open concept kitchen and living room area. Massive master bedroom, lower level family room with fireplace. Attached two car garage. Back deck over looking large private yard. Johnson City Elementary Intermediate School Elementary School, High School / Public 3 0.63 mi. Johnson City Elementary Primary School Elementary School / Public N/A 0.63 mi. Johnson City Middle School Middle School / Public 4 0.63 mi. Johnson City Senior High School High School / Public 5 0.87 mi. Crescent Academy (The) * Pre-School, Elementary School / Private N/A 2.39 mi. St. James School * Pre-School, Elementary School / Private N/A 2.29 mi. 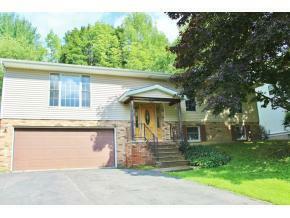 1124 Tamara Lane, Johnson City, NY 13790 is a 3 bedroom, 2 bath single family home was sold for $175,000.